« Seize the day coffee people! Hi from sunny Chester, U.K.
Socialist, George Ritzer wrote of the ‘McDonalization of Society’ by which he uses Weberian ideals to explain how American society, followed by other societies worldwide, became principally like a fast-food restaurant. 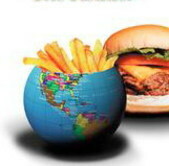 The modern, fast-food style society operates under dimensions of efficiency, calculability, predictability and control. Bureaucratic rationality aims to achieve a ‘means to an end’ with the least amount of effort possible, breaking down operations into logical, calculable steps; efficiency is thus achieved with minimum wastage. When considering fast-food outlets, each item of food is processed, weighed and dispensed to a specific measurement, again, predominantly aided by the use of computerised machines. Every meal served can therefore be accounted for with virtually no waste to the company; making calculability a working criteria. The third dimension of Ritzer’s perspective follows naturally from the other two; if every item is the same, meals are uniform in their limited variety, therefore customers will know what to expect. Returning to a sense of routine, comfort and pleasure, content in the knowledge that wherever in the world they are, whether ordering from a McDonalds in Dallas, Texas or Chester, they will receive the same sized and the same tasting meal as they would when ordering from a McDonald’s in Dubai. Lastly, control over the whole operation comes as a result of the afore-mentioned principles, plus the addition of non-humanised technology replacing human work load. This dehumanising enables procedures to be controlled leaving little room for human error, innovation or variation. Control is maintained throughout all processes; over the portion size, control over the raw vegetables used, over the training of the staff and how they prepare, cook and present the food, and finally over the customer. By rationalizing operation in such a manner; irrationality occurs. Although there are benefits to efficient systems, Ritzer suggests that fast-food restaurants no longer supply fast-food. Queues increase at ‘drive-ins’, health problems increase as a result of the high fat, high sodium and sugary ingredients thus increasing health care expenditure plus environmental consequences and mounted concerns as ever more waste produced by fast-food outlets pollutes the planet. Do you think ‘McDonaldization’ has well and truly got ‘us’ by the short and curly fries? Hi Ethical – Maccy D’s is reported to make more money from their property that far out weighs the sale of fires n burgers. I loved reading ‘ fast food nation’ and how that bloke was in a poor state of health after a Maccy D’s month long diet but hey, everything in moderation – even a clown called Ronald works. What about kids n Maccy D’s – that ‘treat’ that they’re offered? How’s it going from the land that brought us Maccy D’s? The whole process involving customers doing half the work themselves and paying for it is just bonkers. Customers queue to be given the food, to take back to their table and clear the table when they’re finished. Coffee shops in British have adopted a similar approach. You wouldn’t get that on the continent. No! proper waiter/waitress service there. .-= ethicaleater´s last blog ..coffeesister and Jim are now friends =-.